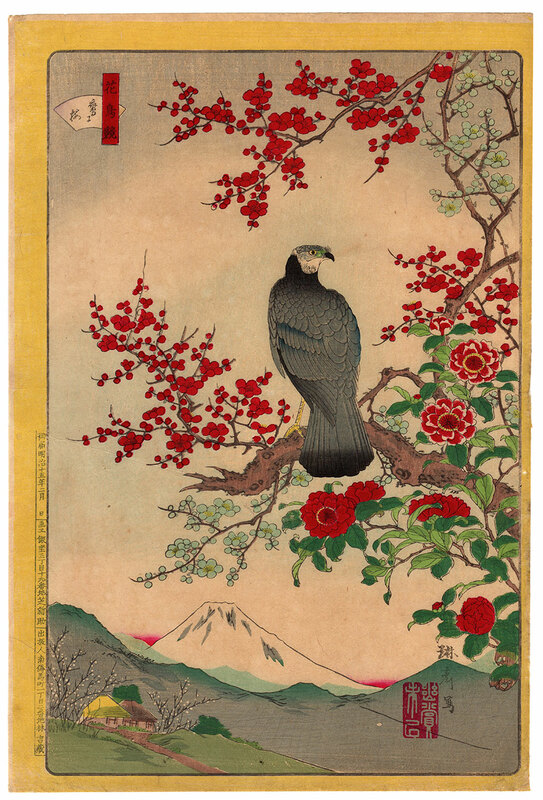 Enchanting polychrome woodblock print of large vertical format taken from the series "Comparison of Flowers and Birds" (花鳥競) made in 1882 by the artist Rinsai Shiba (琳斎芝). The work, printed by the publisher Tsutaya Kichizo (蔦屋吉蔵), is entitled "Hawk and Plum" (鷹と梅). In the lower part, in the background, Mount Fuji (富士山) stands out against the slightly hinted colors of a sunrise. 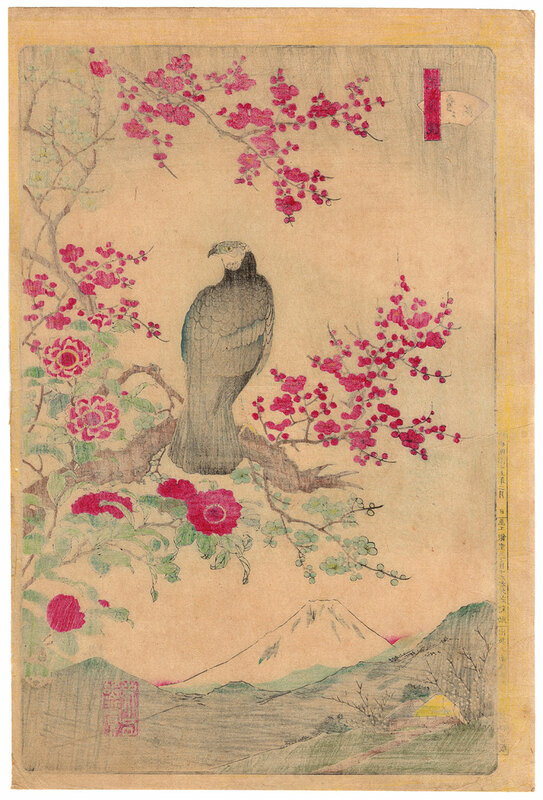 Rinsai Shiba, active in Edo (江戸) in a period between 1869 and 1890, dedicated his entire artistic production to the study of the natural world. 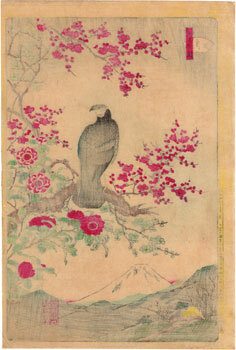 His kacho-e (花鳥絵), or bird and flower pictures, in addition to being made with great skill, are characterized by an unusual combination of traditional landscapes reinvigorated with the addition of particular Western decorative techniques such as, for example, perspective. The work, despite the obvious patina of the time on the Japanese washi paper (和紙), is in good general condition.